The Christmas spirit is alive and well at the Nebraska Game and Parks Outdoor Education Center thanks to the archers and firearm shooters that frequent the center. The holiday decorations went up the week of Thanksgiving, with a new twist this year. The annual Christmas tree was adorned with tags from the Salvation Army’s Angel Tree Program. 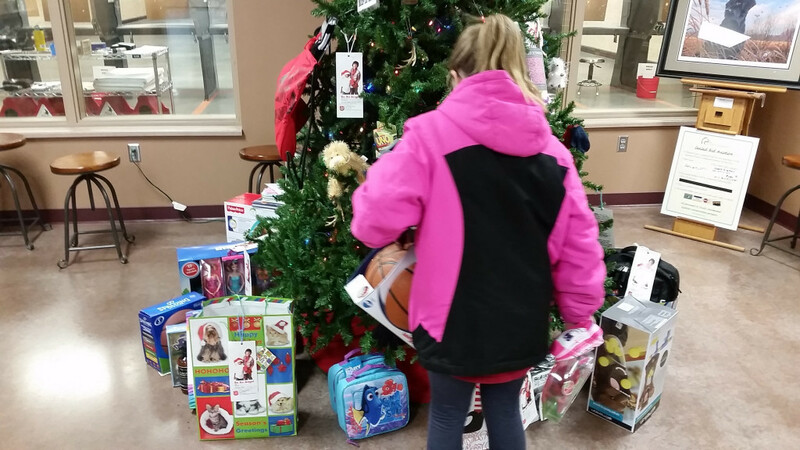 The tags supplied by the Salvation Army of Lincoln identify needs of area children as well as some Christmas gift ideas. Individuals can take a tag off the tree and do a little shopping with gifts being brought back to the tree as donations. At first just a few items began to appear, but in the last couple of weeks the magic began to happen. 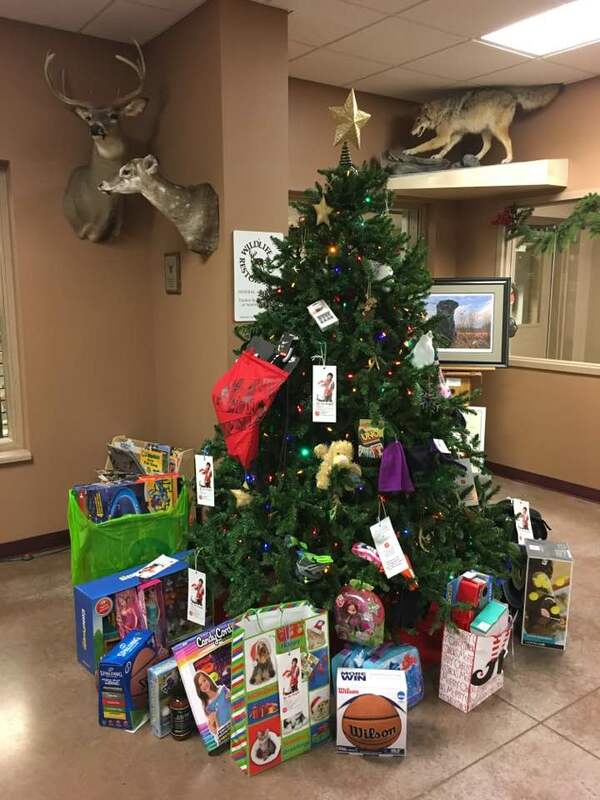 “We have watched the tree fill up with gifts right before our eyes,” says Allie Claypool, a Nebraska Game and Parks employee who offices at the Outdoor Education Center. “It has really added some extra holiday cheer around the office”. Employees got into the fun as well, but most of the donations to the Angel Tree came from those simply making use of the education center to do a little shooting. “Hunters and shooting sports participants are some of the most generous people there are. You see it in all the hours they donate for Hunter Education, Archery in the Schools, Outdoor Discovery Programs, and JOAD. Now you are seeing their generosity spill over into Christmas,” exclaims Jeff Rawlinson, Education Manager in the Communications Division. Items were picked up on Monday, December 19, so they can be sorted and distributed before Christmas. From all of us that office at the Nebraska Game and Parks Outdoor Education Center that got to see your magic happen – thank you and wow!